Thousands were turned away from the festival during Kehlani's set before the whole event was shuttered. Police helicopters circled above telling the crowd of nearly 100,000 to go home and officers in riot gear stood by while fire marshals were forced to shut down the oversold pride festival in West Hollywood during Kehlani’s set on Saturday, according to the Los Angeles Blade. By 10 p.m. the festival was over capacity and the West Hollywood Sheriff’s department began telling those still standing in a line (many of them already ticketholders) that snaked for blocks down Santa Monica Blvd. to go home. Some festivalgoers reportedly began throwing rocks at officers, while others demanded a refund. No one was hurt, according to the LA Blade. 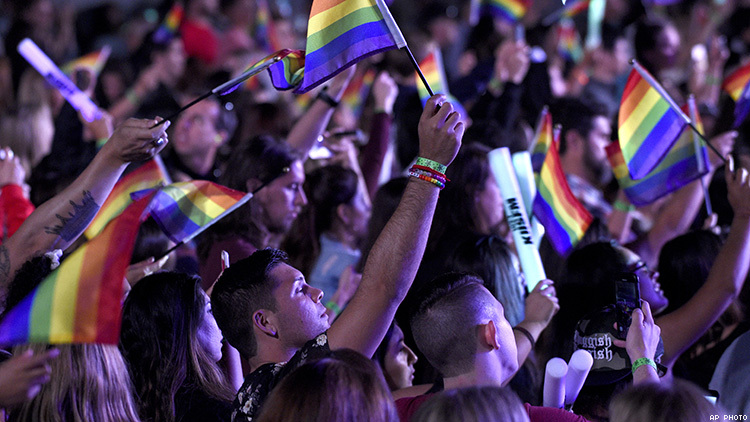 Organizers of the event have said that anyone who was turned away can use their ticket at Sunday’s festival check out La.Pride.org on Monday for refund information, according to the L.A. Blade. Kehlani sent out a series of tweets apologizing to her fans who were turned away or and to those who came face-to-face with police in riot gear. really bummed about all the technical difficulties. tried my hardest with absolutely ZERO ear monitor. had a blast with y’all tho... hope i get a chance to come and do this how I planned to some day.. much love LA. as fun as that was my heart goes out to all the folks who drove, flew, train & bussed here and weren’t allowed in. my heart is wit those who had scary run ins with the LAPD & bad security tonight. we gotta do better.